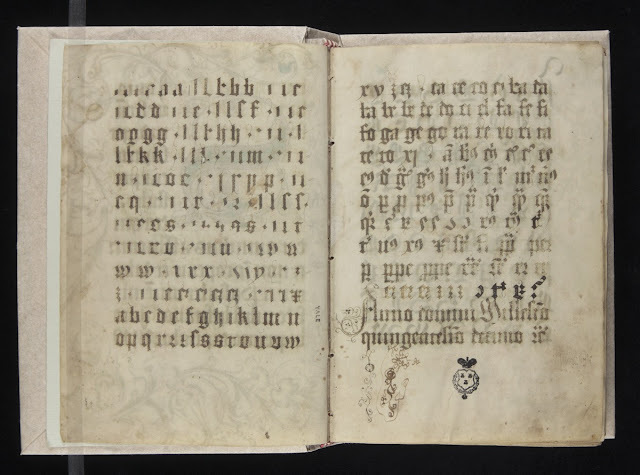 There are hundreds of manuscripts and documents that are available digitally that can serve as inspiration for artists. 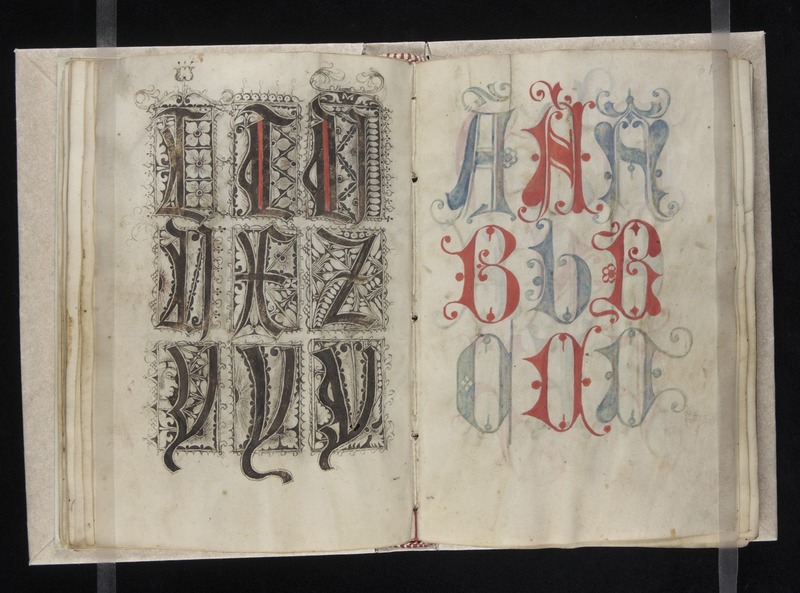 As a calligrapher, the surviving model books deserve particular mention. Those I talk about below were created during the Renaissance, after the introduction of the printing press. 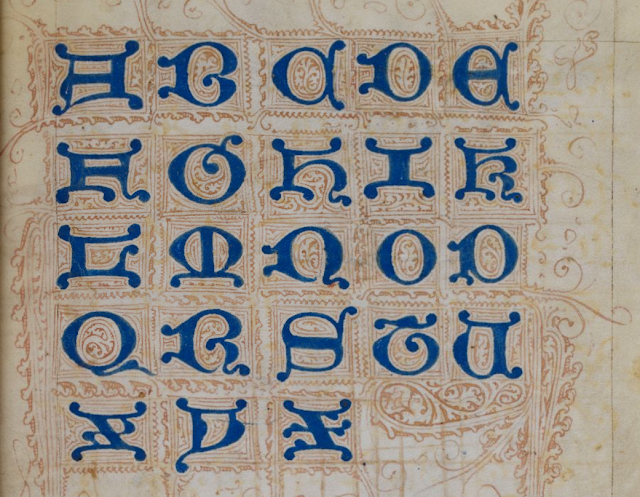 While I'm focusing on their capacity to provide examples and inspiration to a calligrapher, they are great for painters and illuminators as well. 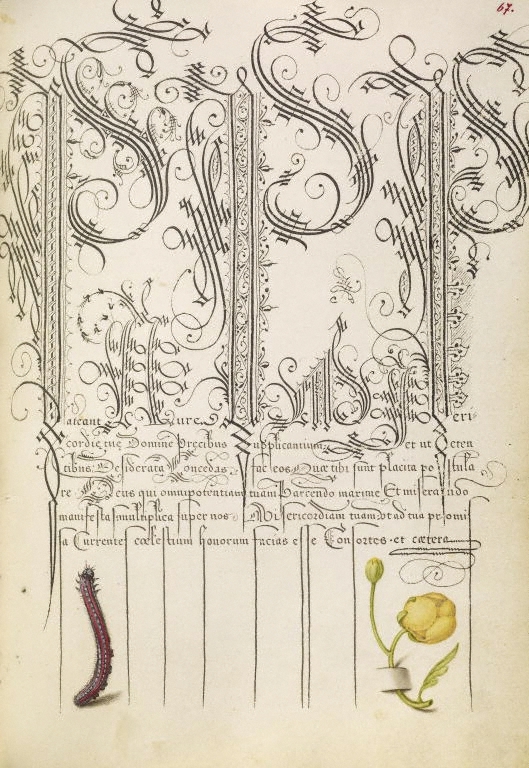 I particularly like the left page above, where Bock breaks down the creation of each gothic minuscule, stroke by stroke. Between 1510 and 1517, the scribe Gregorius Bock created this "Model book for scribes". I used it as inspiration when I created the cover for the Labours of the East calendar. This model book is my current favorite as it covers so many different calligraphic hands. 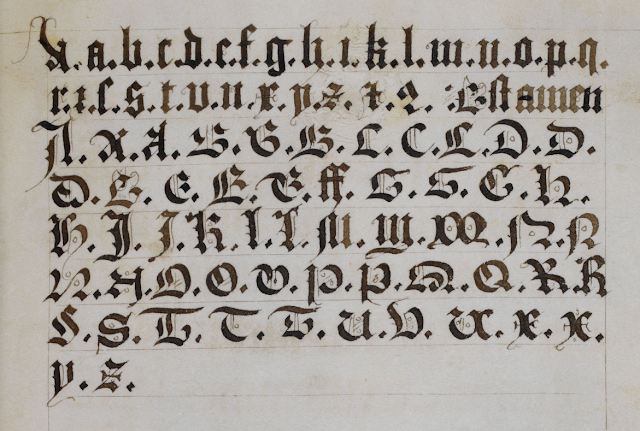 Bock penned the alphabet for most of the hands for quick reference. The first half of the book shows off more than twenty different scripts. While these are all Bock's interpretations of the scripts, they show a great variety that was possible in calligraphic expression, and all are period. 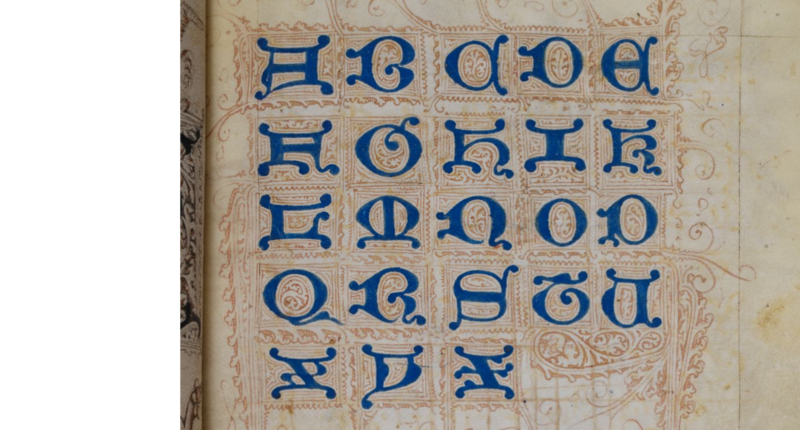 The latter half of the book gives a few styles of decorated versals for each letter in the alphabet, mostly done with just pen and ink. High resolution images are available as MS 439 in Yale's Beinecke Rare Books & Manuscript Library. 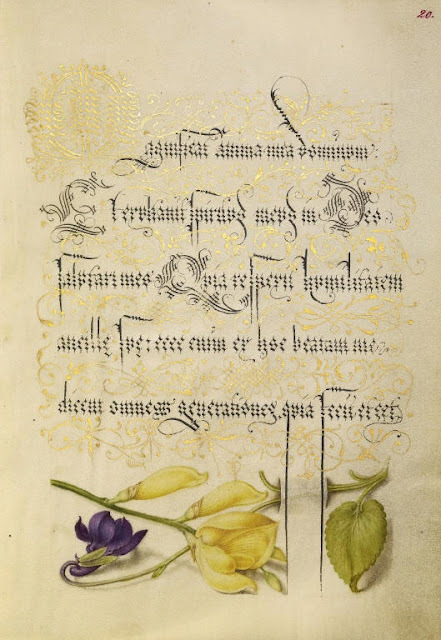 The text area of the original is roughly 4.5 by 3.5 inches in size. Created at the end of the 15th century, with some additions in the early 16th, this book is mostly a sample book of various styles of versals & illuminated borders. 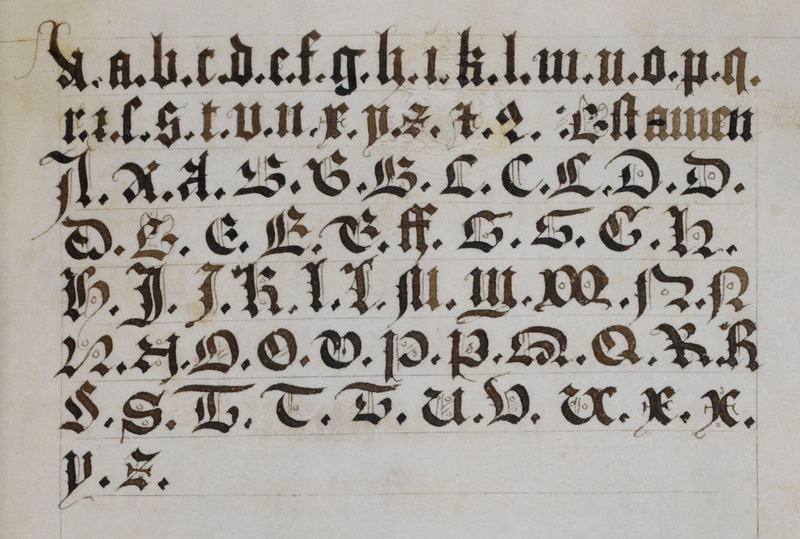 It does have some excellent examples of the gothic alphabet, including capital letters. The book contains several styles and sizes of versals. 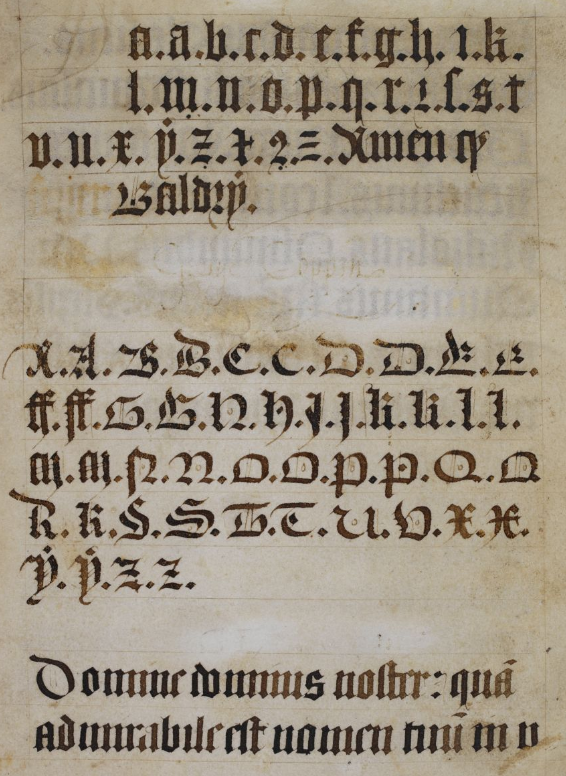 For each style, every letter of the alphabet is provided. 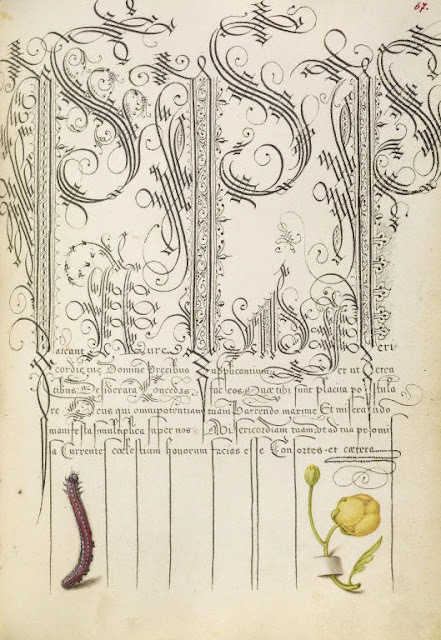 If you are looking to do a quick, but late-period accurate scroll with a decorated versal plus calligraphy, this book is a gold mine of examples to inspire you. 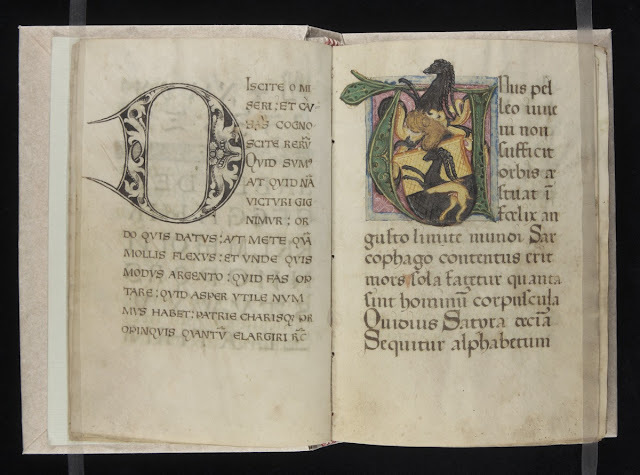 The complete book is available for viewing as Add MS 88887 in the British Library's Digitized Manuscripts site. The text space of these originals are roughly 8 by 4.5 inches. 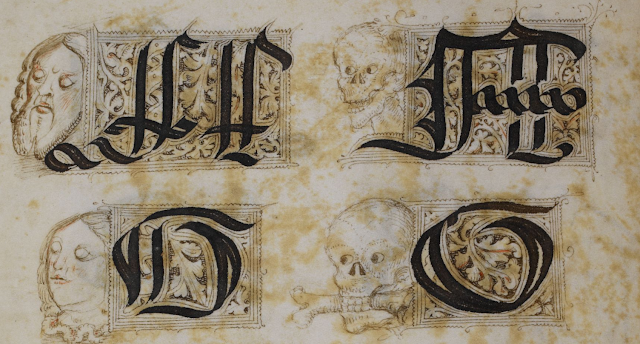 The story of this model book is interesting, and the calligraphy is just stunning. 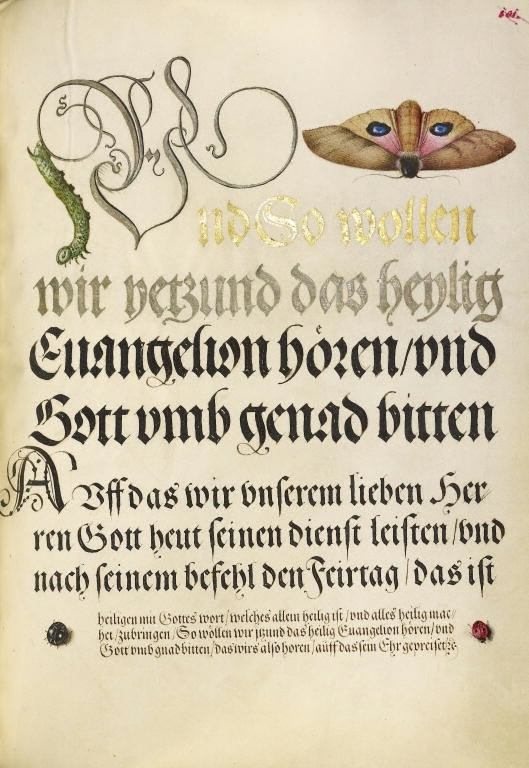 In 1562, Georg Bocskay, imperial scribe to Emperor Ferdinand I, penned this model book to show off his skills and the artistry of calligraphy. Gutenberg's press had been introduced just over 100 years before, and the world of the written word was rapidly changing. Interestingly, the book was initially completed with no painted decoration. 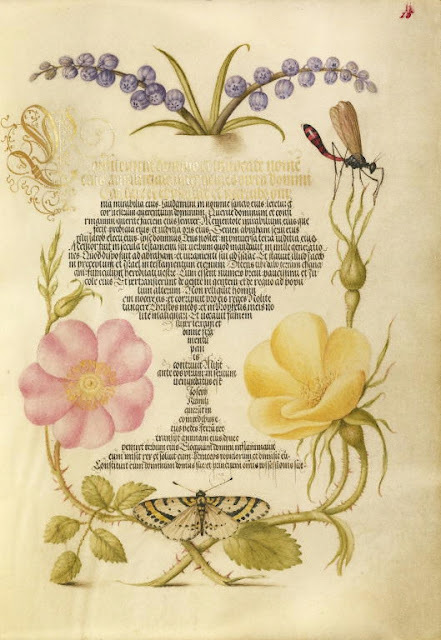 It was years later, after Bocskay's death, that Ferdinand's grandson Emperor Rudolf II commissioned court artist Joris Hoefnagel to illuminate the book. 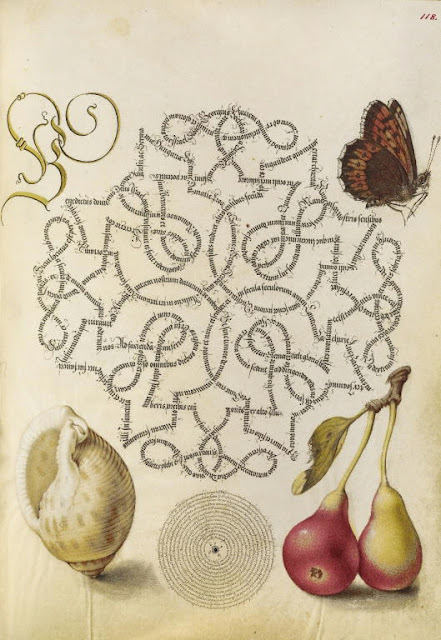 It became a sort of competition between the two artists who had never met as to which art form was the superior, calligraphy or illumination. The results are awe inspiring, and happily Getty Publications has released a digital copy of this book and historical commentary available for free. 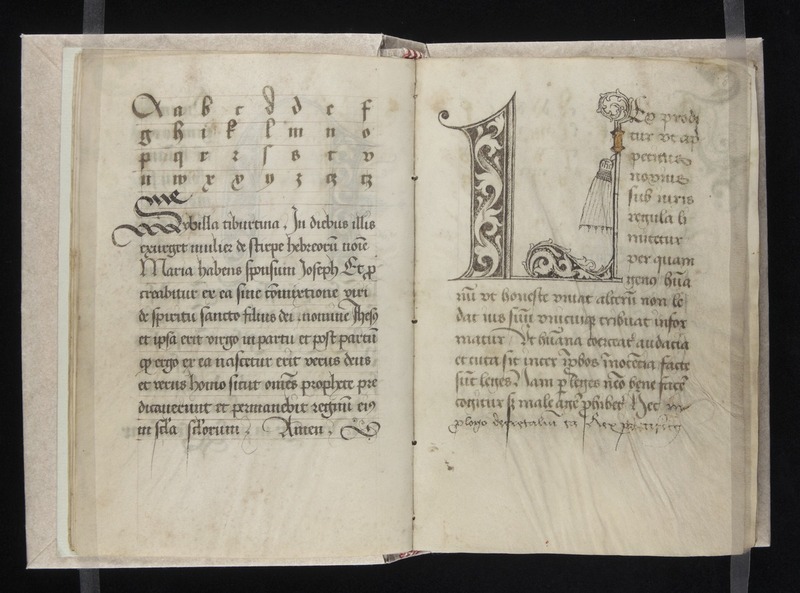 Keep in mind as you view the images of this manuscript that the real size is less than 7 x 5 inches! The PDF images aren't great quality, but higher resolution images can be downloaded from the Getty museum. (Click on the Related Objects tab on this Getty search results page.) If you prefer a physical copy, reproductions of the book have been split into three volumes: The Art of the Pen, Nature Illuminated, and An Abecedarium.